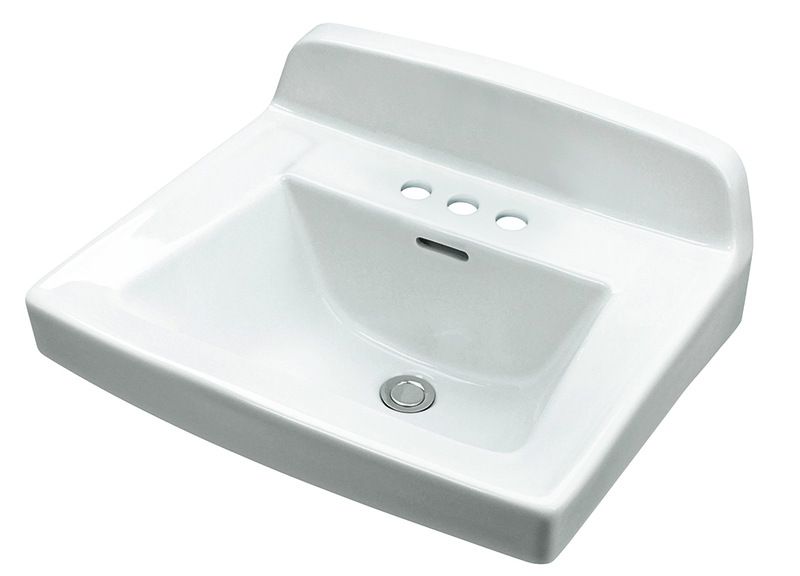 This Monticello™ II wall hung sink is ideal for environments where hygiene is vital. The sink measures 20-1/4" x 18-1/2" and has had the rear overflow. It offers two integrated self-draining soap dishes and is drilled for a 4" faucet configuration. Outer Dimensions: 20 1/4" x 18 1/2"
Inner Dimensions: 15" x 10"